Update: Starting June 18 up to June 27, 2014, LG will be accepting preorders for the 16GB and 32GB variants of the LG G3. Customers who will pre-order shall also get two innovative LG G3 premium accessories for free: the Quick Circle Case worth PhP 1,900 and the official LG Wireless Charger worth PhP 1,500. Customers may go to the following participating LG Concept Stores to pre-order: SM Megamall, SM North EDSA, V-Mall (Greenhills), SM Baguio, SM Cebu, and Gaisano Mall (Davao). Orders and freebies may be claimed from July 4, 2014 onwards at the same LG Concept Store location where customers pre-ordered. There will be a PhP 3,000 non-refundable reservation fee which will be deducted from the unit price (SRP). The LG G3 16GB variant will be available for PhP 31,990 while the 32GB sells for PhP 35,990 for both cash and credit card payments. LG stood out from the competition last year with the 5.2-inch G2, which ushered in the unconventional button placement on the rear, the ultra thin bezel, splendid IPS display and useful software features. However, the major complaints about the phone are its plastic build and lack of a memory card slot. 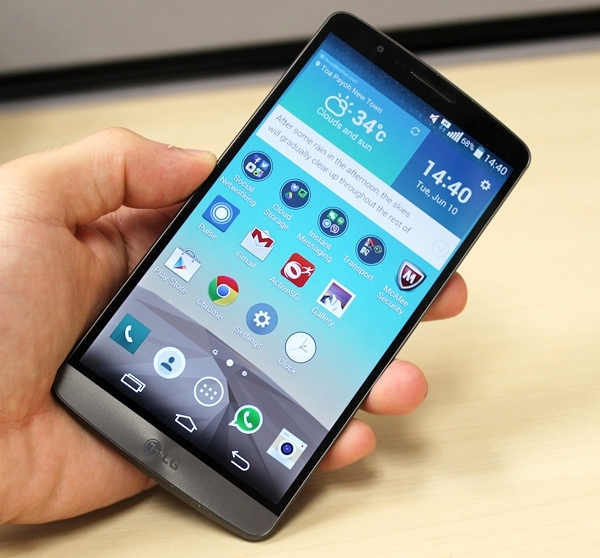 Moreover, it came almost half a year after the other Android flagship smartphones had entered the market. Every phone manufacturer has its own strengths. HTC is second to none when designing a flagship smartphone in the Android space. Sony is well-known for its OmiBalance design language which has served it well. Samsung is the world's biggest phone producer because no one (and we really mean no one) is as capable of churning out different variants in varying sizes and form factors to suit almost everyone's needs. What about LG? It seems that LG has finally found its calling in the industry; it is a master at making their phones compact without being disadvantaged. If you look at the G2 and G Pro 2, both phones have smaller footprints than their counterparts and we dare say the G3 marks the pinnacle of its design prowess. 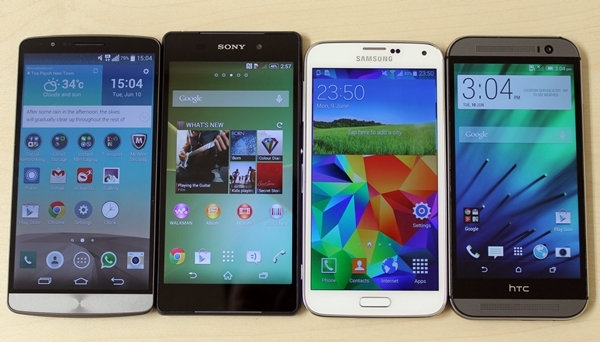 In the context of 5-inch smartphones, the HTC One (M8) is as tall, thicker and heavier than the G3, and the Sony Xperia Z2 is 0.5mm taller, 1.3mm narrower and 0.7mm thinner than the G3. 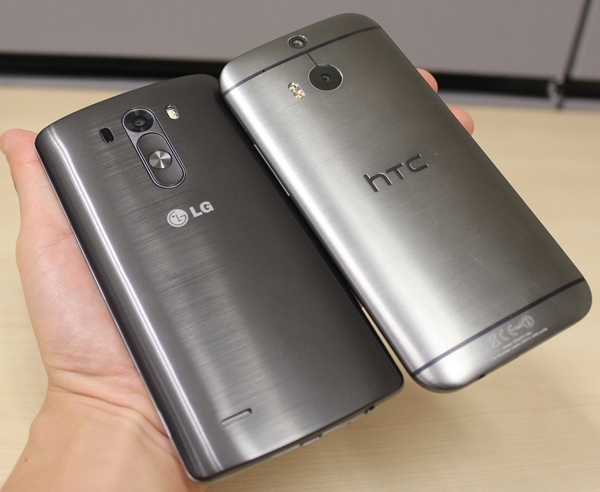 As you can see, the LG G3 is more or less the same size as the 5-inch class phones, but it's the only one to offer a much larger display at 5.5 inches across, thanks to its ultra narrow bezel design coupled with an advancement in its Dual Routing touch sensor technology. It is also the only premium phone available in the local market to sport a QHD screen (more on this later). Besides shrinking the display's bezels, LG also did a remarkable job with the feel and handling of the G3. It was executed in a fashion that went beyond our expectations. The G3 sports many of the physical traits that we fell head over heels with the One (M8) - the curved back which LG brands as the "floating arc design", rounded corners and brushed metallic look. 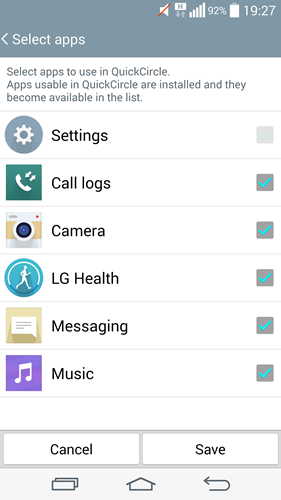 While it's nice to have these traits on the LG G3, unfortunately, they weren't the first to execute these aspects. Credit has to be given where it's due and that goes to HTC and the One (M8) that was a game changer as far as design and build is concerned. The doesn't mean LG isn't original in their designs. In fact, they were the first to embark on the rear button design, which is a pretty bold move as it goes against conventional design norms. 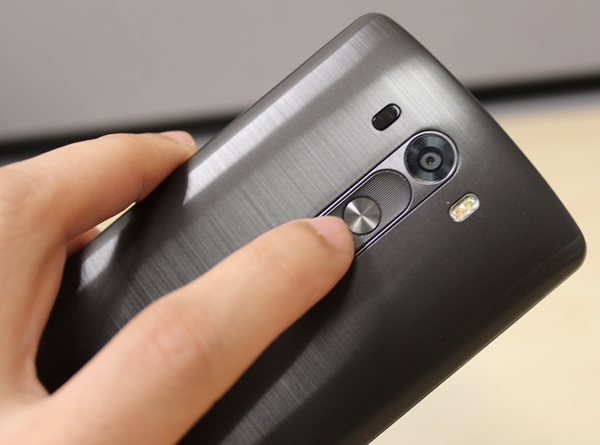 As proven in our review of the LG G2, the rear button design and handling was a hit and the rest is history. 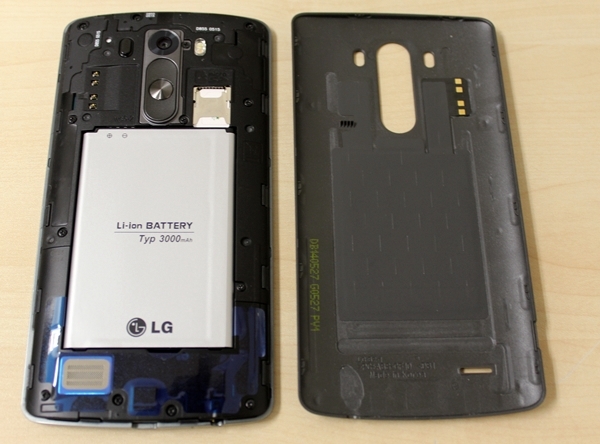 LG's innovative G Flex also featured it, as with the recently launched G Pro 2 . 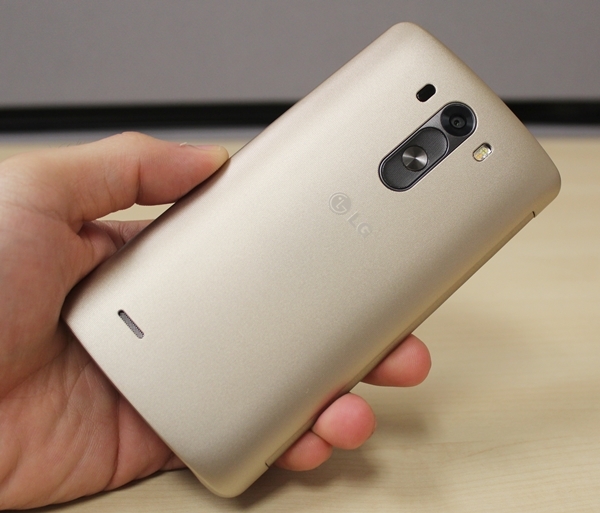 Now on the G3, LG has made further refinements to it. The newly designed power key and volume controls are no longer protruding and have a more premium texture. The clean and singular layout also makes it easier for our fingers to feel and access the rear buttons. While these rear keys represent an uncharted territory for new users, existing owners of G2, G Flex or G Pro 2 should have no problems adapting. The end result is a 5.5-inch phone that doesn't look or feel like one; in fact, the G3 handles as well or even better than its 5-inch counterparts. It is really a joy to tote the G3 around and it is a feeling that's best experienced personally. We are confident that anyone who has the opportunity to handle the G3 would agree with our findings. 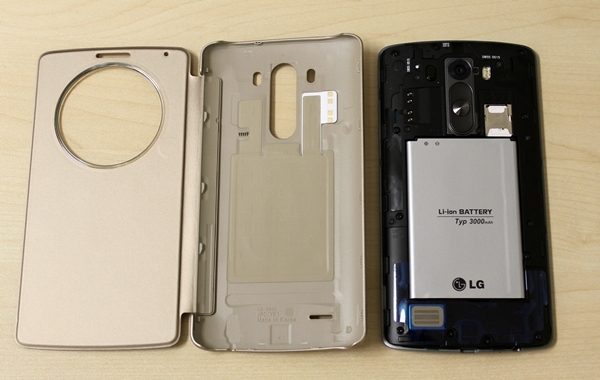 Now, to set the record straight, the G3 pretends to have a metallic back cover. The imitation is so convincing that it actually fooled some of our friends in believing that the rear cover is made up of the same material as the One (M8). Holding the G3 in your hand will reveal otherwise. While the plastic cover cannot match up to the real thing, its matte finish with intelligently curved sides provide a very comfortable and assuring grip of the device. The feel is unlike any other 5.5-inch phone we've handled before. As icing on the cake, the matte finish also keeps fingerprints and smudges at bay - which was a real problem with the LG G2. You have to remove the battery to access the micro-SIM card. The microSD memory card rests on top of the micro-SIM card slot. Having said that, the microSD card slot supports memory cards up to 128GB. While it's not readily accessible, it's a good advancement to the predecessor's limitation of not having an option to expand the built-in storage capacity. The review unit used for this review is the 32GB variant with 3GB RAM. Out of the box, this model comes with 24.43GB of available storage space. The star of the show is no doubt the 5.5-inch QHD display. While LG cannot claim to be the first to debut - Chinese pair Vivo and Oppo have already jumped onto the 2K resolution bandwagon - it can have the honor for bringing a smartphone with QHD display to the mass market. In fact, it will be the first QHD resolution phone to retail in this region. Going by the numbers - 2,560 x 1,440 pixels or pixel density of 534ppi, the QHD display does look impressive on paper. Do the extra pixels benefit the day to day usage experience? App icons, text and images do look sharper on the G3, but the only time that you can tell the differences is when you place the G3 side by side with the 1080p screens of other flagship devices. There might be certain games, high resolution images and videos that can put the QHD display to good use, but let's face the truth - there are hardly any apps that are optimized for use with the QHD display. LG presented a strong case during the launch event that the naked human eye is able to discern the differences in screen resolutions. If you have seen the presentation slide (posted below for those who haven't), LG is not wrong. However, there is more to this debate than meets the eye. There are certainly some good things to say about the QHD display on the G3 such as the true-to-life colors, but do not expect the bump in resolution to improve the overall viewing experience by leaps and bounds. For one, the LG G3 is still competing with other premium 5-inch phones and given their display size and Full-HD resolution, the G3 will definitely not lose out as it has a bigger screen and a higher resolution to ensure screen clarity and sharpness is no less impressive. 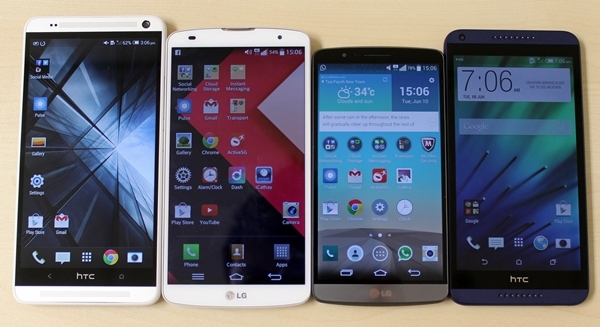 Compared with other 5.5-inch sized phones, the LG G3's screen is just marginally better in general usage. LG will be offering a series of accessories for the G3 which include the Quick Circle Case, the Wireless Charger (WCD-100), Slim Guard Cases, Slim Hard Cases, and the LG Tone Infinim Bluetooth stereo headset. In this review, we will be looking at the Quick Circle Case. 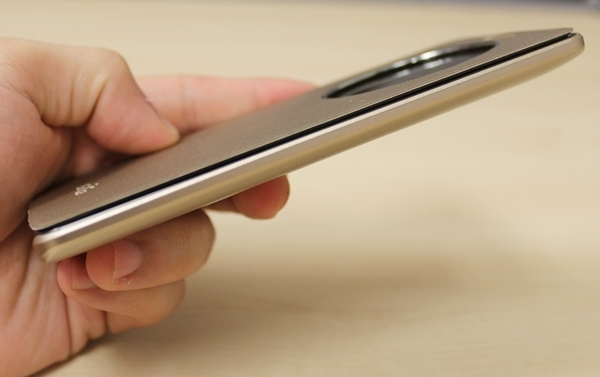 There are no prizes for guessing where LG took its inspiration from for its Quick Circle case. 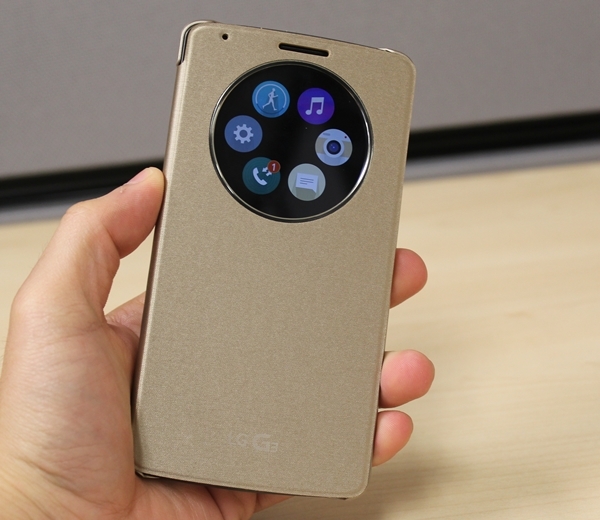 As the name suggests, the case has a circular window that gives you direct access to six frequently used functions: settings, call logs, camera, LG Health, Messaging and Music. 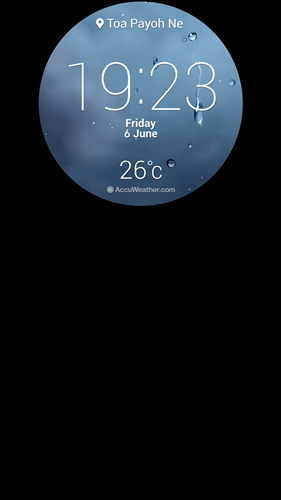 At the moment, these are the apps that are supported by the Quick Circle case. The software development kit (SDK) for the Quick Circle case is now available for developers to download. They can use the SDK to customize their apps for use with the case. If you do not need all six apps to be featured, you have the option to hide them. 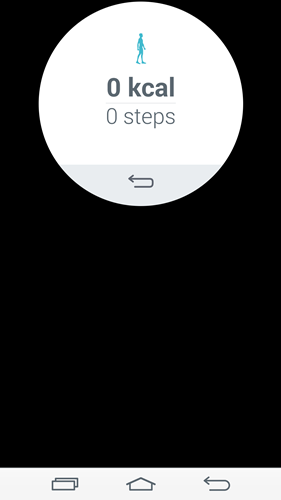 The above three screenshots show how the Quick Circle case gives you access to the music player, pedometer in the LG Health app and to change the clock face. There are a total of 10 clock faces that you can choose from. 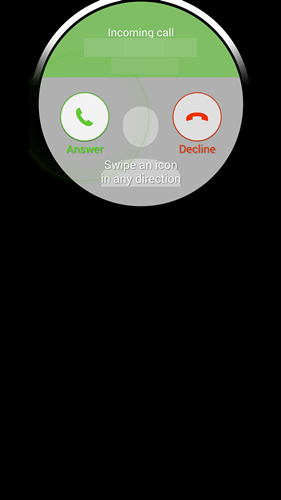 You also can answer or reject calls using the Quick Circle case without having to flip open the cover. It also displays notifications of missed calls and upon tapping on the call log, shows you the number and the rest of your call history. Similarly, the Quick Circle case alerts you to unread messages and lets you read them. However, there is no option to reply. 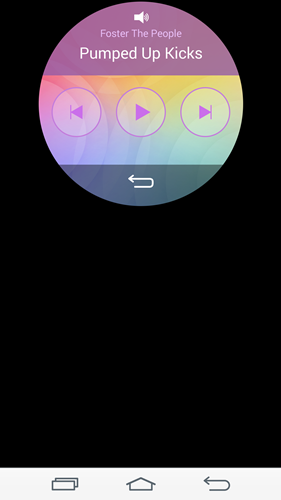 Using the Quick Circle case requires you to remove the back cover and snap the case on. Fortunately, the case is extremely slim and does not add much bulk to the G3. 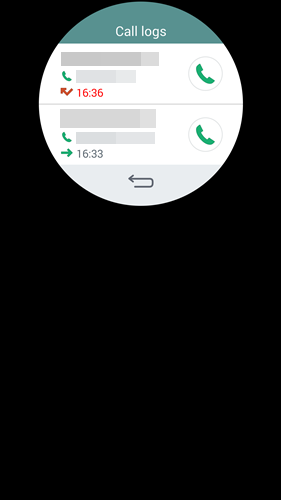 Over the the duration of reviewing the phone with the case snapped on, we found that the circular window was lighted up on a few occasions when we whipped the phone out of our pocket. We're not sure what might have activated it, but we reckon it would have led to some battery drain. 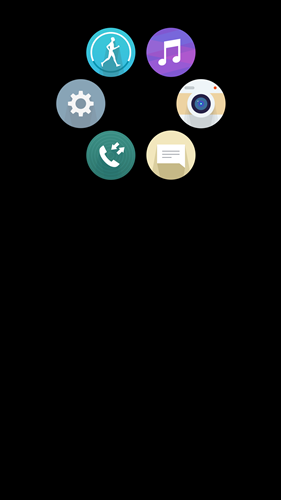 We found the lack of a battery status indicator on the Quick Circle display disappointing; it would have been better if users can have a quick glance of such vitals without flipping the cover. The Quick Circle's retail price is expected to be a little on the high side. If you spend time to analyze the case, you'll realize that like many of the advanced casing covers, this one integrates both wireless charging elements and NFC functionality in addition to sensors integrated to detect the cover's position to inform the G3 what it should display on its LCD screen. All these aspects certainly add to the cost of the Quick Circle case. Gone are the days when phone casings were just their namesake; these days, they are more like 'smart cases'. 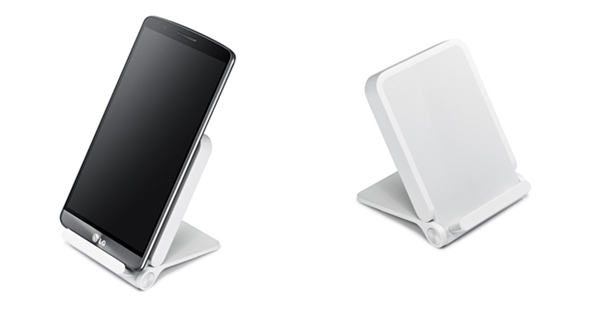 The Wireless Charger is compatible with Qi's wireless power charging technology and outputs 1.0A current. Weighing at 88g, it is light enough to bring around. You can charge the G3 with its rear cover, Quick Circle, Slim Guard and Slim Hard cases on. If you find the official wireless charger to be too expensive, the G3 can be charged using any other wireless Qi based chargers.